Canine distemper is an incurable, deadly virus which attacks your dog’s respiratory, urogenital, gastrointestinal, and nervous systems. Tshwane SPCA is currently battling a potential canine distemper outbreak at its Waltloo branch, reports Kempton Express. “If your dog is not vaccinated on a regular basis or within the past year, vaccinate it immediately,” warned Dr Elizna Boag, the business unit manager for companion animals and ethicals at Afrivet. Canine distemper is a deadly virus that attacks your dog’s respiratory, urogenital, gastrointestinal, and nervous systems. To date, no cure for the disease has been developed. According to the Garden Route SPCA, this highly contagious viral disease is spread through the air and by direct or indirect contact with an infected animal. Pet owners are urged to be on the lookout for any abnormal behaviour in their dogs. Early signs of this disease may include a fever and a discharge from the nose and eyes. Given the seriousness of the disease, the potential for suffering and the highly contagious nature of the virus, the humane euthanasia of certain dogs cannot be ruled out, according to a statement released by Tshwane SPCA on January 18. The first alarming cases of canine distemper were reported in Knysna in May 2018, claiming the lives of dozens of dogs and causing nearly 300 animals to be put down. The outbreak later spread to Cape Town and Durban, as the number of reported cases rose to that of “hot spot” status. Since then, the outbreak has spread to Gauteng. Dog owners should know that because distemper is a viral disease and the animal’s immune system has to fight it unaided, veterinarians can only provide supportive treatment once the dog has been diagnosed as having contracted distemper. 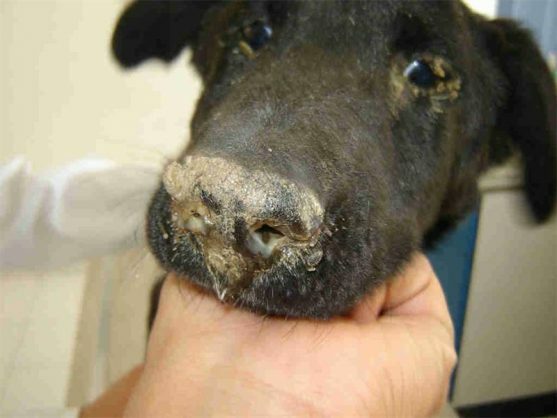 An estimated 50% of adult dogs and 80% of puppies will succumb to the disease. Vaccination is the only way to prevent the disease, says Boag.